Unless you’ve been there/done that, even the most savvy dog owner may not know that dogs can get acne. Canine acne looks like red bumps on the dog’s chin. It indicates a little infection of the skin, and just like for people, may be painful. Some kinds of dogs are more likely to suffer from canine acne – especially those with wrinkles or folds of skin around their mouths. All of our dogs have some – especially Teddy and Torque, the French Bulldogs. One step in prevention is the same as for people – keep it clean. Torque is an especially messy eater, so his face always gets at least a quick rinse when he’s done. (A damp washcloth usually does the trick.) Once a week the boys get a thorough face washing as part of their regular “ablutions” – nails, teeth, ears, etc. We have a wide selection of bowls, including the recommended ceramic and stainless choices. Another part, which is just as crucial – is to only use ceramic or stainless steel bowls for food and water for your dogs. 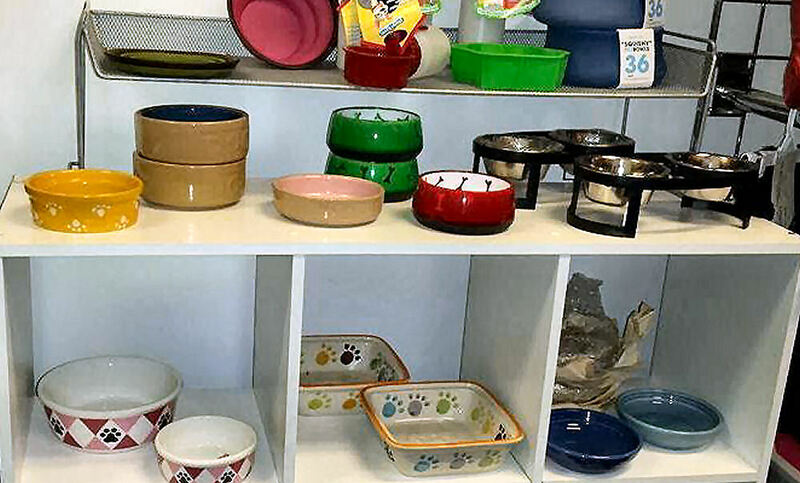 Plastic bowls are a cause of canine acne, in addition to leaching chemicals into the food or water. Stainless steel or glazed bowls will prevent “muzzle folliculitis” or dog acne and have the added advantage of being dishwasher-safe. Plastic bowls are fine for short-term use – there’s nothing more convenient than a collapsible bowl for a trip to the park or to tuck in a training bag for class. But for always-available water and meals, stick to stainless or ceramic and save your pup from uncomfortable and unsightly canine acne. This entry was posted in Dogs and tagged canine acne, dog acne, dog bowls, dogs, muzzle folliculitis, small dog bowls on December 27, 2016 by Golly Gear. Fun, affordable and practical products especially for small dogs!